Even before Samuel O’Reilly, a New York-based tattoo artist, discovered Thomas Edison’s failed electric pen in 1891 and used its design to create and patent the first known tattoo gun, Americans have had a love affair with body art. But what began as a social taboo has evolved into a number of artistic styles, inspired over the centuries by both international culture and American heritage. While modern tattoo styles continue to evolve and emerge at an ever-increasing pace, that growth is fueled by rising societal acceptance as tattoos become less and less stigmatized, which in turn has made way for new styles, like delicate, pastel watercolors and the exaggerated new school. From traditional to trash polka, these styles extend from the historical to the post-modern. America’s infatuation with tattoos really took off in the 1930s as sailors returned home with what we now know as the traditional style tattoo. The style had been born two hundred years earlier when sailors of that time, like the crew that sailed to the Tahitian islands under Captain James Cook who famously coined the term tattoo, were inspired by the body art of the indigenous people they encountered in their travels. But it wasn’t until in the 30s, as U.S. 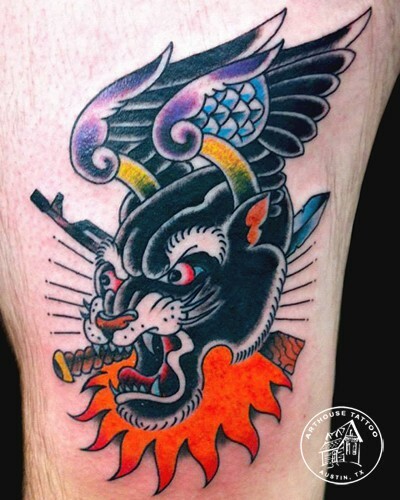 Naval officers returned from abroad with the images of anchors and swallows, that tattooists like Norman ‘Sailor Jerry’ Collins refined the style and gained popularity for not only traditional body art, but for American tattoo culture itself. Traditional style is defined by its prominent, black outlines and saturated, primary colors. Just as the great realism painters aimed to depict true-to-life imagery with oils, the realism style of tattooing recreates its subjects in as unidealized a manner as possible. While this style may or may not make use of color, it achieves its lifelike quality through detailed shading and fine linework. Portraiture, when meant to mirror a photographic image, is a sub-genre of the realism style. 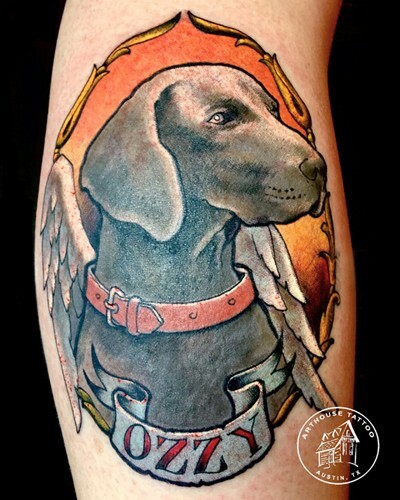 The illustrative style is exactly what you’d expect, given its name: tattoos that resemble well-drawn illustrations. They’re not entirely realistic but not cartoonish, either, and are typically regarded as a combination of realism and traditional styles. 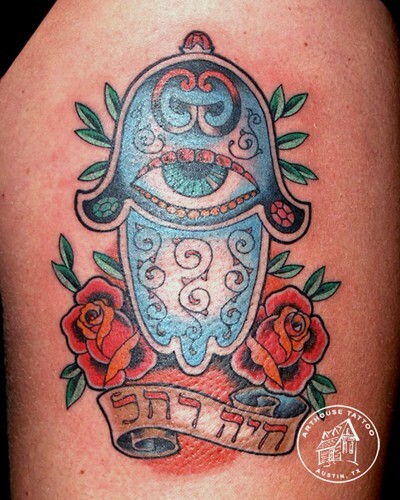 While closely related to neo-traditional, illustrative tattoos are generally more refined and lifelike. With the introduction of these new styles, traditional tattooing eventually evolved into what’s known as neo-traditional or ‘new’ traditional style, which is seeped in the rich colors and distinctive outlines of its traditional heritage, but achieves greater depth with the addition of shading and varying line weights. The neo-traditional style effectively mixes traditional tattooing with illustrative elements, which are ultimately based in realism. While the official name of this style is new school, it may be more aptly described today as old school, since its aesthetic is reminiscent of its heyday, the late 80s and early 90s. New school reflects the bold colors of the time with heavy outlines and is cartoonish, often depicting objects and animals with personified and animated characteristics, but since new school is technically defined by style, the subject could be an exaggerated caricature of anything. Blackwork is a broad category used to describe any tattoo created using only black ink and because of its general nature, blackwork encompasses a number of more specifically defined styles. The traditional Japanese style of tattooing that emerged in the 1600s, known as Irezumi, falls into the blackwork genre, as the style reflects the woodblock prints that were popular at the time. 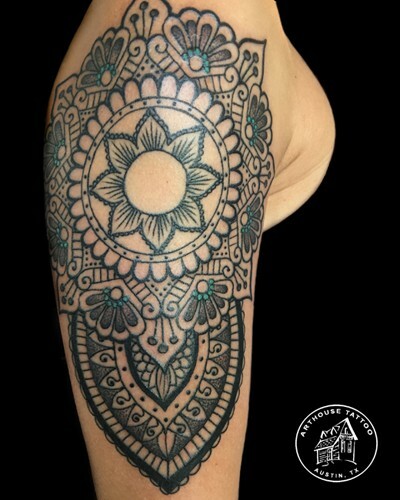 Tribal tattoos, whether of Polynesian, Marquesan, or other cultural origin, are also considered blackwork due to the omission of color. 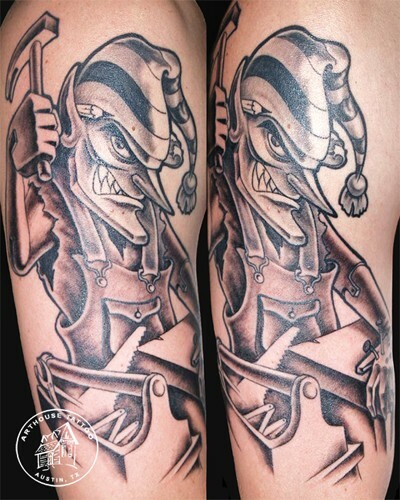 Though distinctly different in style, the majority of typographical (or stylized lettering) tattoos and most portraiture can also be categorized as blackwork. 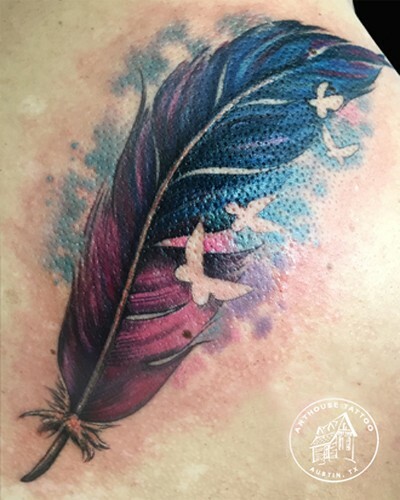 Another relatively new, but increasingly popular, tattoo style is watercolor, which embody the soft hues and watery appearance of paintings in the same style. While it’s no easy feat, the watercolor effect is created without specialty equipment and is instead achieved by technique, with the artist applying different gradients of color, without an outline, to form a complete design. 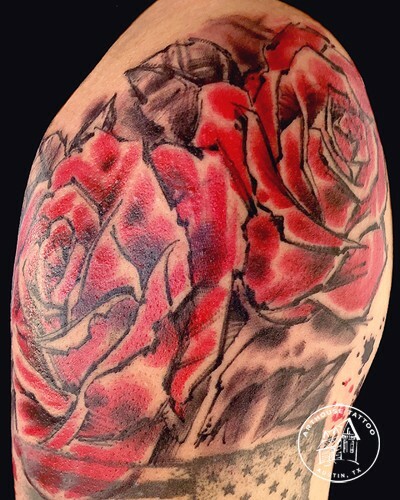 Though the style hasn’t been around long enough to know for sure, many scrutinize watercolor, claiming that tattoos of this style are especially susceptible to fading. 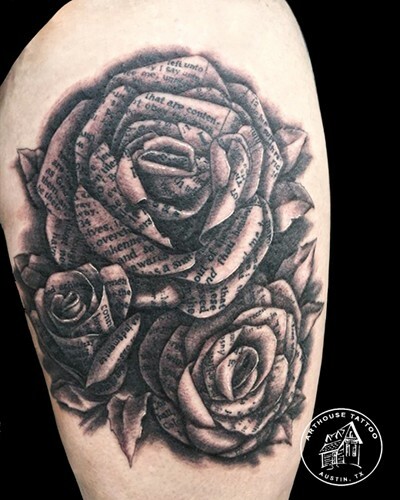 While this is in no way an exhaustive list of currently available tattoo styles, it could be argued that any published index is quickly made incomplete as new forms emerge and are combined to create something original each day. As body art becomes increasingly engrained in American culture, we can expect a surge in distinctive, modern styles.